.30 Remington AR ammo - option for the AR brings extra power, speed and reach for dropping pronghorns, boars and deer! 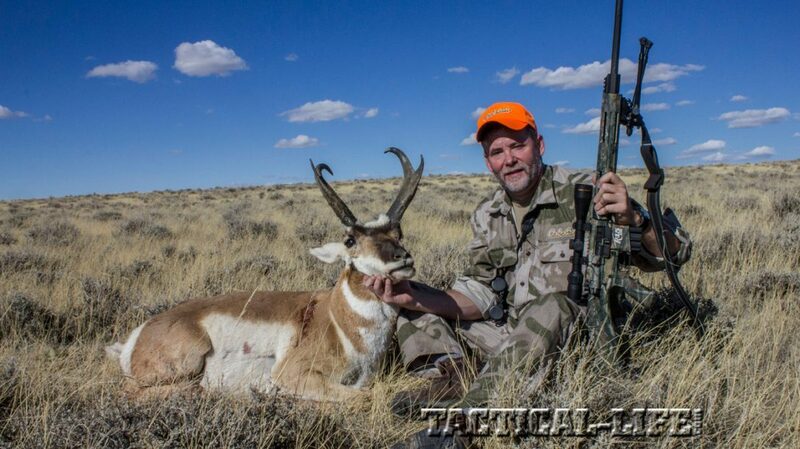 This Wyoming antelope was taken with a .30 Remington AR at a range beyond 400 yards. Given the 110-grain Barnes Tipped Triple-Shock bullet that was used, its impact velocity had dropped below what was optimal. 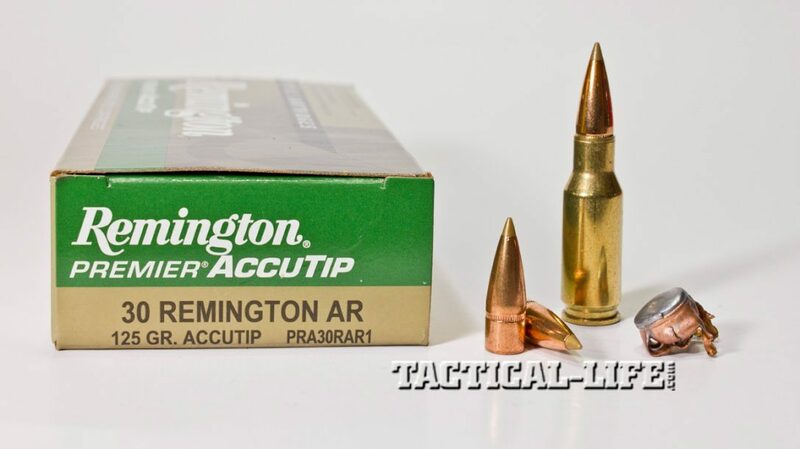 If you are looking for a single multi-purpose factory load for hunting with the .30 Remington AR, the 125-grain Remington AccuTip is truly hard to beat. Remington’s R-15 is one of the only commercially available rifles chambered for the powerful .30 Remington AR cartridge. This variant features a fixed stock and a Realtree MAX-1 HD camo finish. 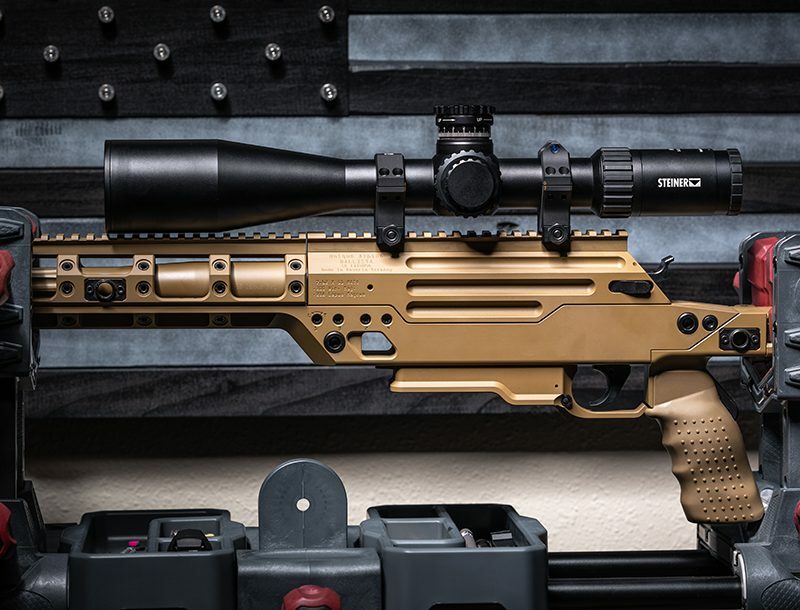 The 110-grain Barnes Tipped TSX bullet will drive deep and expand to double its diameter, but only if impact velocities are at about 2,000 fps or higher. 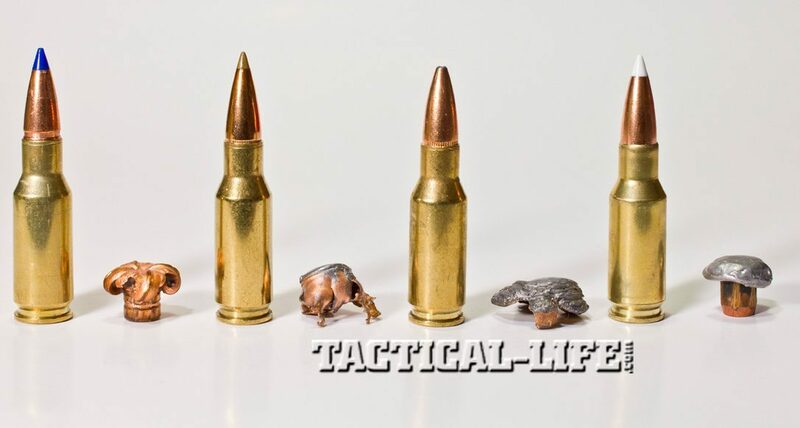 Here you can see the terminal performance you can expect from two factory and two handloads at common ranges with the .30 Remington AR, left to right: 110-grain Barnes Tipped TSX, 125-grain Remington AccuTip, 125-grain Remington Core-Lokt and a 150-grain Nosler AccuBond. Nosler’s 150-grain AccuBond is an excellent bullet choice for the .30 Remington AR if the game you are after is large. It will also work nicely on pronghorn. The .30 Remington AR should be the hottest thing coming or going as far as rifle cartridges are concerned. After all, the rifle it was designed for—the AR-15—is the most popular rifle in the world right now. But, that’s not how it turned out. You see, it could be argued that the .30 Remington AR was a victim of politics. When the .30 Remington AR was announced in 2009, the political winds were blowing towards a time when ownership of an AR-15 might have become illegal. Consumers were buying AR-15s as fast as manufacturers could make them. A lot of hunters were interested in a more powerful AR-15, but they were more interested in just owning any AR-15. This political situation, combined with the fact that Remington announced the cartridge and the rifle before they were quite ready, resulted in it not really being available until 2010. By that time, those who would have bought it had either completely forgotten about it or had already purchased an AR chambered for the .223 Remington. Still, by 2012, the .30 Remington AR was starting to get its legs back under it. Hunters began acknowledging the fact that all the other AR-15-compatible cartridges were essentially on the low end of the power spectrum—not in the same class as the .30 Remington AR. However, by the end of 2012, the political winds had turned into a hurricane and manufacturers were again so busy making ARs in .223 that they didn’t care if they ever made one in .30 Remington AR. By the same token, ammunition remained in short supply for the .30 Remington AR. 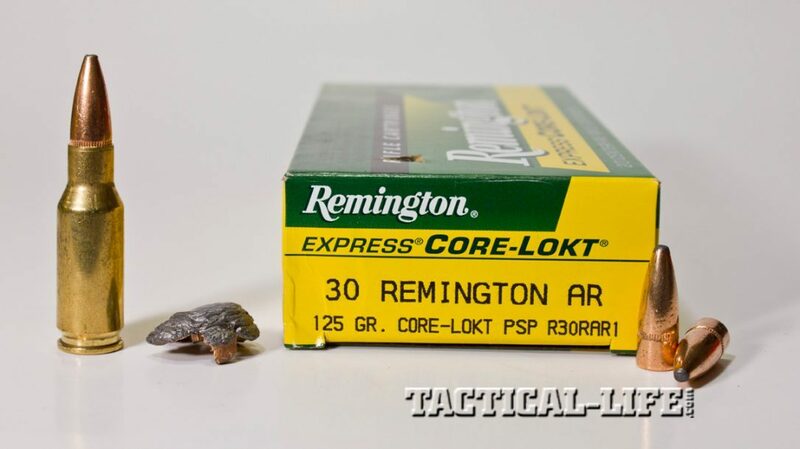 Remington was and still is the only company loading the cartridge, and to further exasperate .30 Remington AR owners, it wasn’t until the spring of 2013 that Remington released brass to satisfy handloaders. 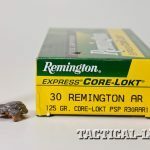 To Remington’s credit, in the spring of 2013 the company also released a new load for the .30 Remington AR in its Hog Hammer line, which brought the total of available factory loads to five. 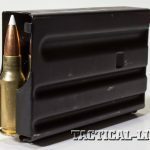 While some scoffed at the .30 Remington AR and others failed to recognize its significance, I was one of the first to start singing its praises. In fact, I purchased the first .30 Remington AR rifle—a Remington R-15—I could find. Immediately, I started handloading and hunting with it. The first animal I took with this cartridge and rifle was a Wyoming pronghorn. Admittedly, the shot was a bit long at 413 yards, but I had a solid rest and there was no wind. I was using a handloaded 110-grain Barnes Tipped TSX bullet, which left the muzzle of the rifle at about 3,000 fps. The problem: Beyond 400 yards, this bullet was not going fast enough to initiate expansion during penetration. The result was a wound with minimal internal damage, and the antelope required a follow-up shot. Learn as you go, they say. Actually, I knew better when I pulled the trigger, and while the 110-grain Barnes Tipped TSX is an excellent bullet, these projectiles need velocity to work—in general, at least 2,000 fps at the point of impact. I kept hunting with the .30 Remington AR but switched to the Remington AccuTip bullet, which was a bit less dependent on velocity for expansion. With that bullet I took a whitetail and a mule deer with one shot each. I also experimented with the Nosler 150-grain AccuBond. Even though this bullet is a bit heavier, it has a higher ballistic coefficient and retains velocity very well so it will still expand out to about 400 yards even though it has a muzzle velocity of only about 2,600 fps. The thing is, the .30 Remington AR, being a .30 caliber, will work with almost any .30-caliber bullet up to about 165 grains. 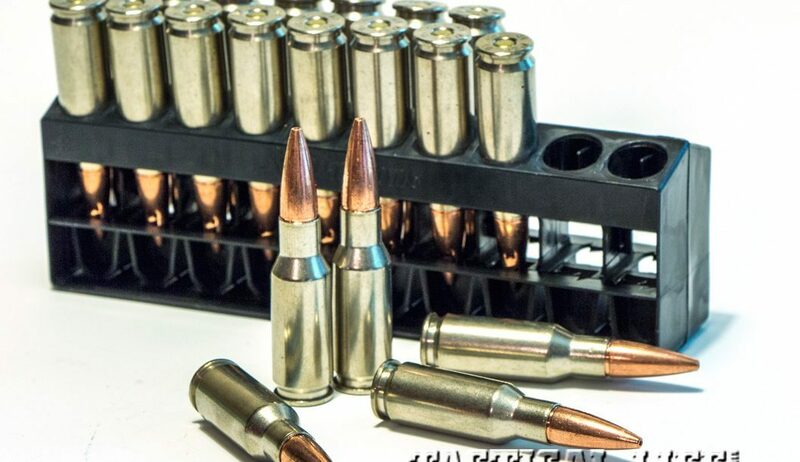 This would seem to be a good thing, except that most of today’s .30-caliber hunting bullets are designed for cartridges with a bit more speed than the .30 Remington AR. For example, the .308 Winchester cartridge will push a 150-grain bullet in excess of 2,800 fps, and the .30-06 will do almost 3,000 fps with a 150-grain bullet. 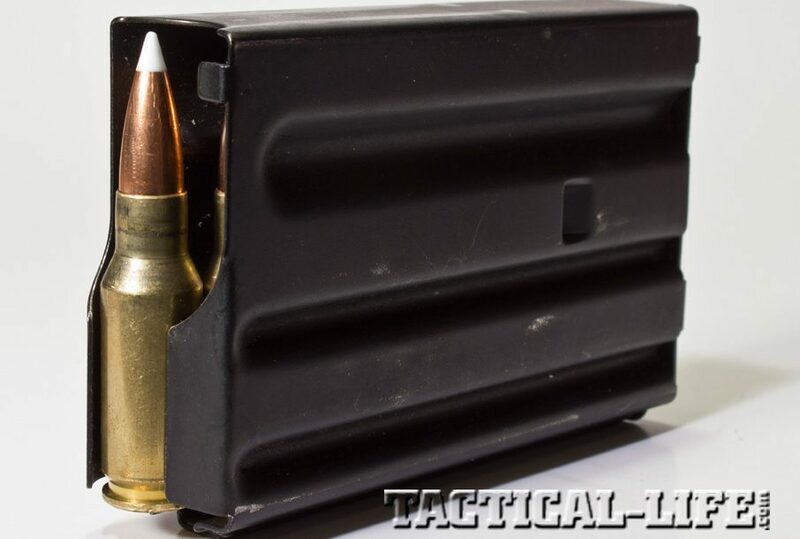 That being the case, most .30-caliber hunting bullets are designed to work best with those muzzle velocities, and if you load them in a .30 Remington AR, you might put yourself in a situation where you do not have enough velocity to drive expansion at longer ranges. 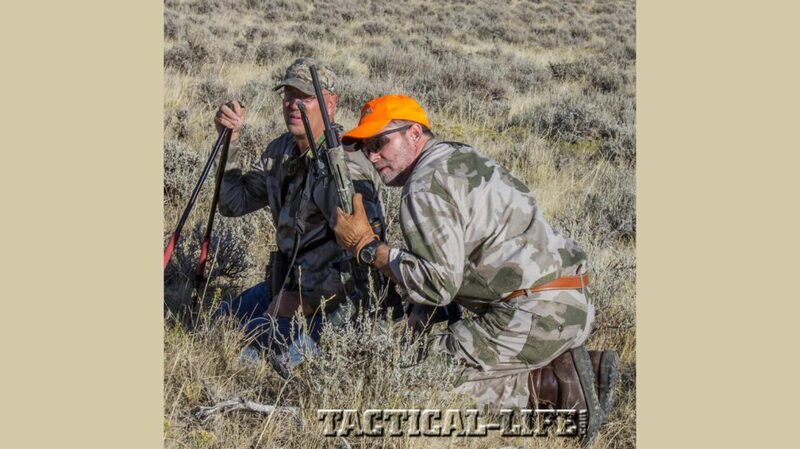 And, when you are talking about hunting antelope, range is always a consideration. I’ve taken a handful of antelope, and in most cases you can get to within 300 yards. Inside that distance, about any .30-caliber hunting bullet will work for the .30 Remington AR. It’s the long shots that you have to worry about and, just like me, you might see that big one at 400 yards and not be able to get any closer. Realizing all of this, I pushed Nosler to offer a bullet specifically designed for the .30 Remington AR. 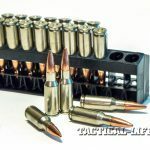 I suggested a 125-grain AccuBond, arguing that it could also work well in another new but much less powerful cartridge, the 300 AAC Blackout (300 BLK). 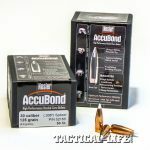 AccuBonds will still show meaningful expansion at velocities as low as 1,800 fps, and considering that you could start a 125-grain AccuBond at about 2,800 fps from a .30 Remington AR, this seemed like the perfect answer. It would still retain 1,800 fps out to 450 yards. 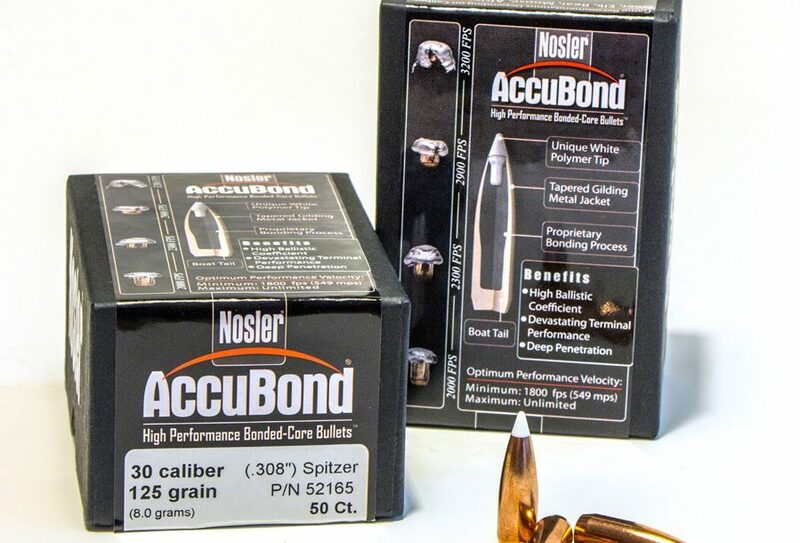 Nosler stepped up, and in early 2013 the 125-grain, .30-caliber AccuBond became a reality. 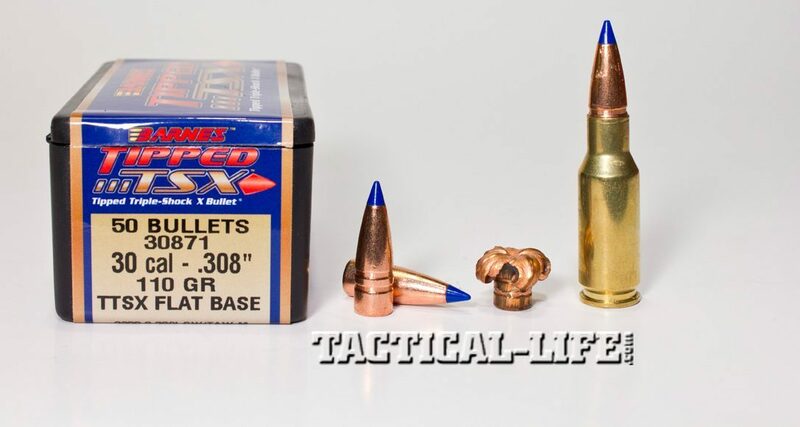 The first load I put together with this bullet using Accurate Arms 2200 powder would easily put three shots into less than an inch at 100 yards with a muzzle velocity at just a shade over 2,800 fps. 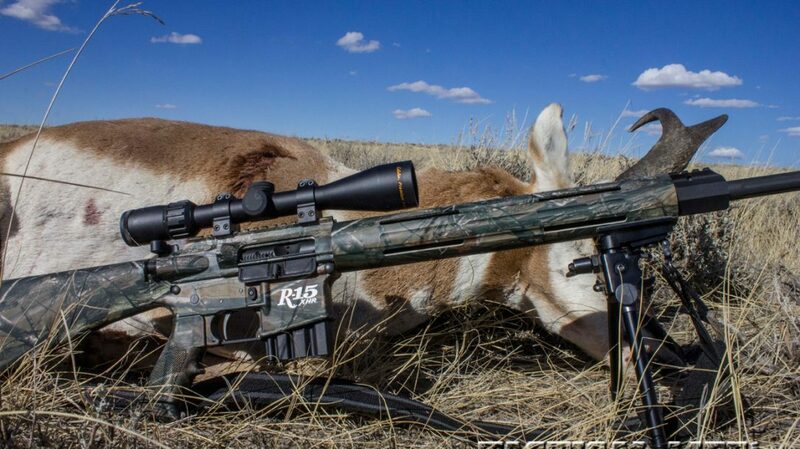 I’d hoped to try this bullet out in the R-15 on a pronghorn hunt, but another opportunity presented itself first. I was invited to hunt in South Africa with Trijicon in April of 2013. The problem was that I could not take an AR-15 to South Africa. However, being a big fan of the .30 Remington AR, I already had New Ultra Light Arms build me one of its lightweight bolt-action rifles for this cartridge. With its 20-inch barrel, the ballistics from this rifle almost perfectly mirrored the performance from my R-15 with its 22-inch barrel. I handloaded both 125- and 150-grain AccuBonds for the hunt. 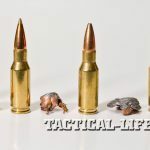 I wanted to see if there was much of a performance difference, and I also wanted to see just how well the 125-grain AccuBond, the bullet I had pushed Nosler to build, would work. My first opportunity on an African antelope came in the form of a blesbok, which is very similar in size and demeanor to the American pronghorn. 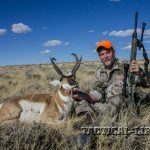 I was hidden in a shallow draw when the herd approached, and when the biggest antelope turned broadside at 218 yards, I pulled the trigger. The blesbok staggered off about 15 yards and dropped. 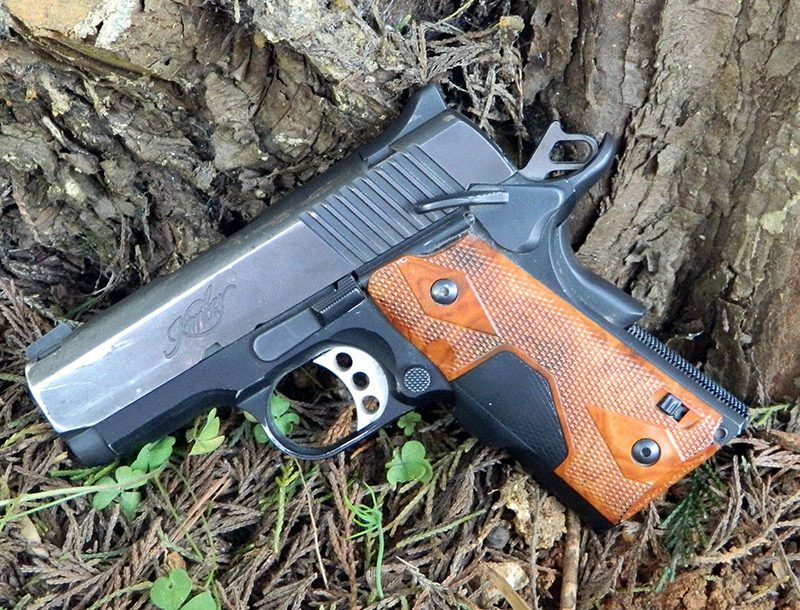 The 125-grain AccuBond had punched through the top of the heart, both lungs and out the other side. The next victim of the 125-grain AccuBond was a mountain reedbuck. These are smallish antelope that will weigh about 70 pounds at the most. 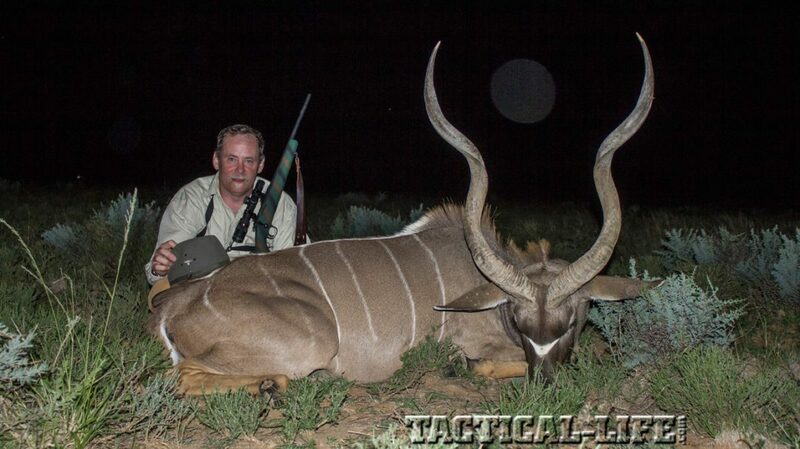 The shot was across a draw at about 240 yards, and the results were identical to the blesbok. The bullet went in, wrecked the insides of the little antelope and exited. 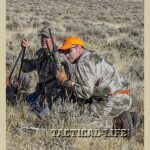 Searching for kudu, I opted for the heavier 150-grain bullet. Kudu can weigh as much as 600 pounds, and I thought the extra bullet weight a good idea in case I hit heavy bone. The shot ended up being longer than I had expected and right at the edge of darkness. The 150-grain AccuBond traveled almost 300 yards to the kudu, took out the heart and broke the leg on the off side. The bull ran about 20 yards and dropped. Granted, those African antelope were not taken with an AR-15, but that is really immaterial. The type of rifle the bullet is fired from does not influence terminal ballistics. All that matters is impact velocity, and since both my bolt action and my R-15 generate about the same velocities, the results are tellingly applicable. 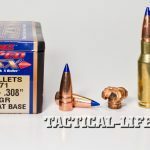 With Remington now offering .30 Remington AR brass for handloaders, and with Nosler offering the excellent 125- and 150-grain AccuBonds, handloading hunters now have about all they need to make the .30 Remington AR a fine antelope (or anything) cartridge. 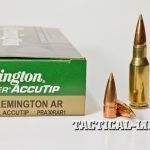 For those who don’t handload, Remington’s 125-grain AccuTip is an excellent choice, and I’m betting it will not be long until one of the smaller boutique ammunition manufacturers begins offering factory loads with one or both of the AccuBond bullets. I’ll also bet that the new Hog Hammer load from Remington, which uses a specially designed 125-grain Barnes TSX bullet, would make an excellent choice for about any big-game animal you care to chase. 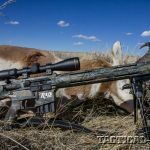 Just keep in mind that TSXs will perform best when impacting at 2,000 fps or more, and in the .30 Remington AR’s case, that’s going to be inside 400 yards. I’ve also been after Remington to offer R-15 upper receivers for the .30 Remington AR. 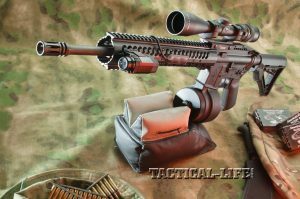 With the mad rush to purchase AR-15s, it might be hard to buy another AR just to shoot the .30 Remington AR. But, if they could just purchase an upper that comes with two mags and a sample pack of ammunition, now that would be just the ticket. If Remington listens, the .30 Remington AR has a bright future. Regardless, I have a lot of brass, lots of bullets and a lot of hunting to do.